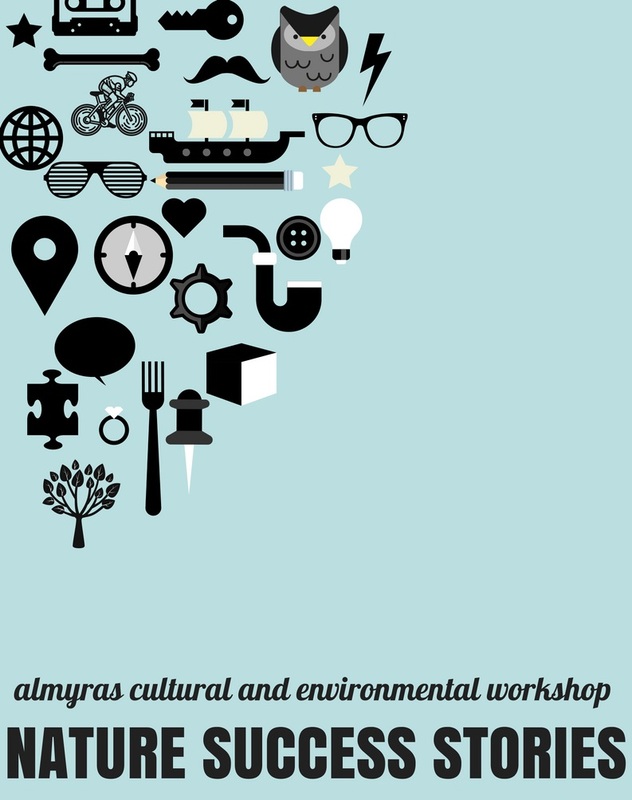 Almyras Cultural and Environmental Workshop is carrying out its first voluntary programme in the context of the European Voluntary Service Erasmus+ Programme. Almyras is a non-governmental non-profitable organisation that was founded in 2011 and its headquarters is in Ayia Varvara of Nicosia. The objective of the Workshop is to take actions related to cultural and environmental issues in the wider area of the ​​southern Nicosia district, and generally in the countryside of Cyprus. 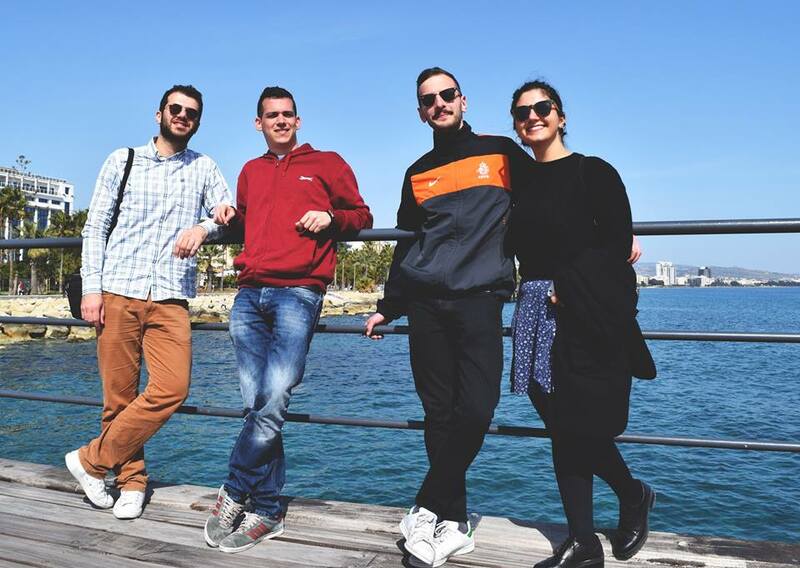 Within the context of the European Voluntary Service Programme, this year Almyras is implementing its first project entitled ‘Nature Success Stories’ by hosting 4 volunteers, Valeria and Francesco from Italy and Zachos and Christos from Greece. The programme, which is supported by the Community Council of Ayia Varvara, began in February and it will last for four months. 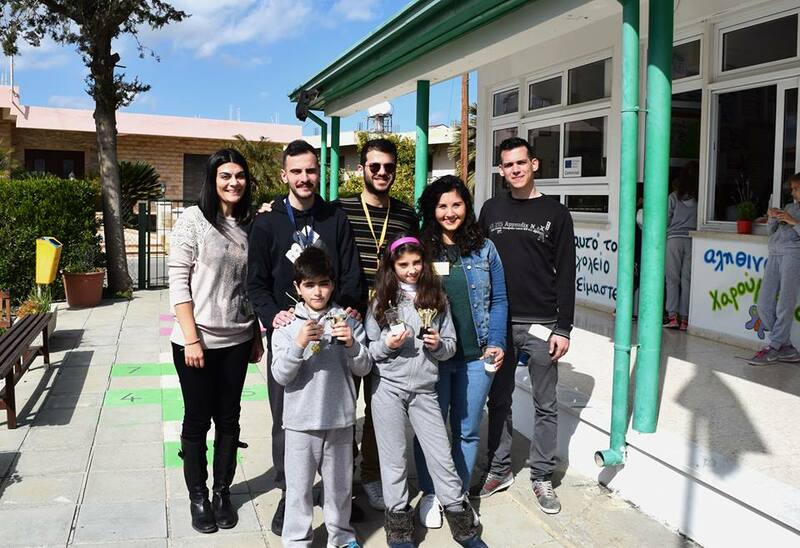 Under the project ‘Nature Success Stories’ the volunteers visit kindergartens and primary schools of the district of Nicosia. As part of these visits the children have the opportunity to participate in activities related to recycling, reuse of materials and biodiversity. However the work of the volunteers is not finished at the school yards. During the project a botanical garden will be created at the Community Park of Ayia Varvara, but also a collection campaign of damaged electrical devices of the locals will be held in order to recycle them. Furthermore, various cultural events are being prepared in collaboration with the Community Council of Ayia Varvara. The volunteers invite you to participate in the variety of activities they are organizing. For more information please contact them on almyras.ngo@gmail.com or the Facebook page Αλμυράς Πολιτιστικό και Περιβαλλοντικό Εργαστήρι.